The Big Event Live! A Sheya Mendlowitz Production. 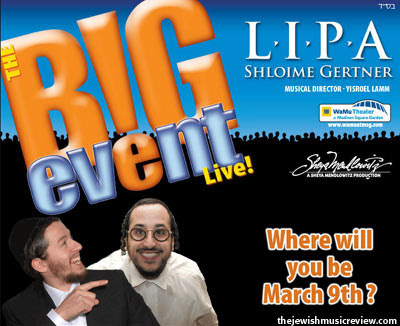 Featuring Lipa Schmeltzer and Shlomie Gertner at the WaMu Theater at Madison Square Garden 7:30pm on March 9th Musical Director Yisroel Lamm. SEPARATE SEATING. For more information or to reserve tickets please check out www.nyBIGevent.com or call 718.873.0888. Gertner is smart for giving in to the Rabonim but Lipa is..... why is Lipa fighting Hashem? I’m really proud how this ENTIRE matziv is being handled. 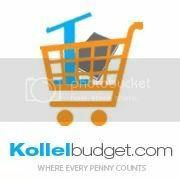 B’h Klal Yisrael has been blessed with real Gedolei Torah who have guided us through turbulent times in golus. THE OPPOSITE OF WHAT mordechai AND esther wanted us to take out of the story of PURIM. I am sure everyone reading this comment will agree 100% Rabbi T.C.